Dr. Young-Hui Chang is a Professor of Biological Sciences at Georgia Institute of Technology where he directs research in the Comparative Neuromechanics Laboratory. Young-Hui received his B.S. in Mechanical Engineering and his M.S. in Animal Physiology from Cornell University. Next, he conducted his doctoral studies at the University of California, Berkeley, earning his PhD in Integrative Biology in 2000. Prior to joining the faculty at Georgia Tech, Young-Hui was a postdoctoral researcher at Emory University. 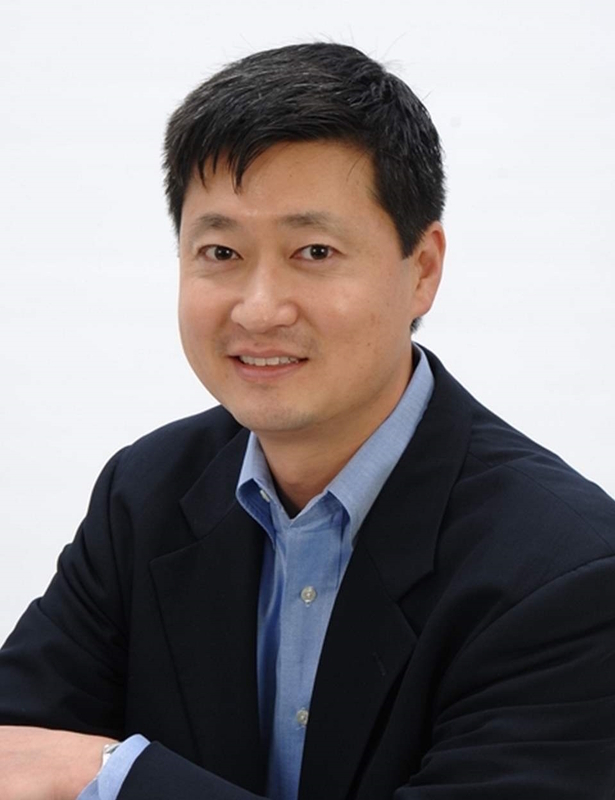 While at Emory, he was awarded the Association of Korean Neuroscientists President Outstanding Research Hanwha Award. Young-Hui has also been awarded an NSF CAREER Award. He has joined us today to talk about his experiences in life and science. Young-Hui likes to spend his free time with his family. He, his wife, and his two boys enjoy exploring the outdoors, hiking, and camping together. Though Young-Hui was not always a particularly outdoorsy person, enrolling his sons in the Scouts program has provided an avenue for him and his family to learn more and get outside. Research in Young-Hui’s lab aims to examine how the control of movement by the nervous system is influenced by mechanics and physics during locomotion. He is interested in broad mechanisms for behaviors like walking, running, and hopping that apply within and across species. Growing up in a suburban neighborhood, Young-Hui adored watching wildlife programs on TV with his dad, but he didn’t have a lot of first-hand experience with the natural world. From a very young age, there was an expectation from his family that Young-Hui would attend medical school. His interests as he left high school centered around English, math, and science. Young-Hui began college in the pre-med track, majoring in engineering, but he wasn’t passionate about going to medical school. During his senior year, a lecture on biomechanics from a faculty member in one of his courses piqued Young-Hui’s interest in research. After spending some time working in this faculty member’s lab studying how vampire bats jump and how gibbons swing through trees, Young-Hui was hooked. During his postdoctoral fellowship, Young-Hui had collected substantial data on locomotion in cats. He tried for years to make sense of the data. As an untenured assistant professor, high productivity was critical. Young-Hui was frustrated that he wasn’t getting anywhere looking at the data on joint movements in cats. When he stepped back and started thinking more wholistically about the functional goal of the limb movements, rather than the individual joints, everything fell into place. He discovered there were some overall limb positioning patterns that generalized across all cats and later found that these patterns also occurred in other species. This suggested that locomotion is controlled more at the level of the limb, with more variability at the joint and muscle levels. Young-Hui and one of his colleagues have been working on and off on an unfunded side project examining how flamingos stand on one leg. They both primarily do biomedical research, but whenever they had time, they would make progress on this flamingo project. After years of work, they discovered that flamingos stand on one leg without much muscular effort, and they are very stable standing on one leg. The paper was recently published, and it was a big win for Young-Hui as well as a big win for curiosity-driven research. One of the most memorable travel experiences Young-Hui had was when he was a graduate student at UC, Berkeley. He went with his advisor to a small town in Southern California called Paris. There is an amazing elephant training facility there, and the research team spent a week studying how a baby elephant walks and moves. Young-Hui helped set up their equipment in the dirt paddock and was responsible for running the computer to collect the data. The elephant did a great job running back and forth through their data collection area, and Young-Hui was eager to take a peek at the data when they took a short break. He was horrified when he realized that there was an issue, and they had failed to collect any data during this first session. They were able to fix the problem and get things back on track, but they lost a lot of good data. Young-Hui’s advisor at Cornell worked in the anatomy department and was able to secure many fantastic specimens of deceased exotic animals for the students there to study. One day, he brought in a five foot long 300-pound hammerhead shark. Along with some of his fellow graduate students, Young-Hui carefully packed up the shark specimen and brought it to a local gorge for a photo. They had fishing tackle and posed like they just caught the shark in the shallow fresh-water gorge there. Young-Hui brought the framed photo to a local brew pub, and it decorated the wall there for years. When you are looking at a problem or a dataset, the simplest explanation is probably right. Also, when you are facing a difficult problem or looking for inspiration, go outside of your own field. Some issues that seem insurmountable within your field may have already been addressed or approached differently by people in completely different fields. Young-Hui’s research focuses on trying to understand how animals move through and interact with their environment. He integrates approaches and techniques from biomechanics and neurophysiology to elucidate both passive mechanical and active neural mechanisms that control limbed locomotion in humans and other terrestrial vertebrates. This multidisciplinary approach allows him to test hypotheses about the basic design and function of the locomotor apparatus throughout a variety of conditions. His current goal is to understand the extent to which muscular reflexes can influence limb coordination during locomotion and how global limb control strategies may be affected by sensorimotor perturbations.